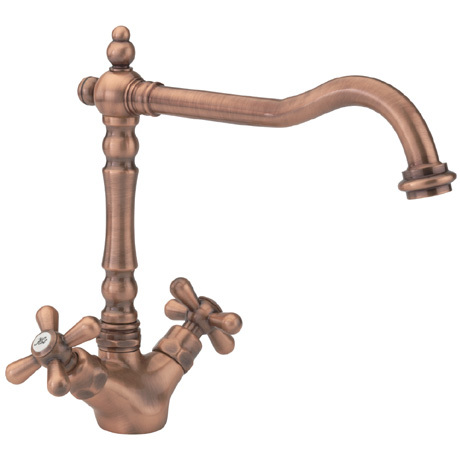 The Tre Mercati - French Classic Mono Sink Mixer - Old Copper is a part of the "French Classic" range from Tre Mercati. The range from tre mercati with its old copper finish looks traditional and will bring Opulence and prestige to your kitchen. The Mono Sink Mixer is made to the highest standards using the latest methods and best materials. Delighted with the lovely copper mixer tap.It looks, and is,of very good quality.Has given my kitchen sink a much-needed face lift, and has been an all- round excellent purchase.